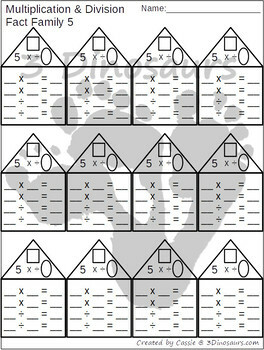 All kids learn differently and these fun multiplication and division math fact books are a great way to do this. 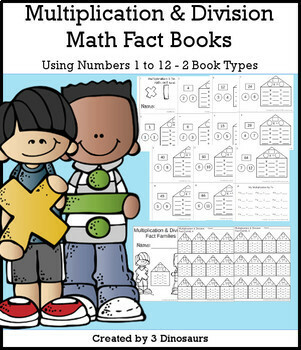 There are two types of books easy reader for each number or review books with all 12 math facts on one page. The 1 to 12 Beginner Multiplication & Division Math Fact Books is great at the start to see how the numbers work together. 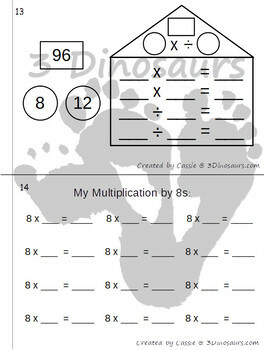 The Review Multiplication & Division Math Fact Books are great to winter or summer break reviews or works wonderfully as a no-prep page to use at any time.